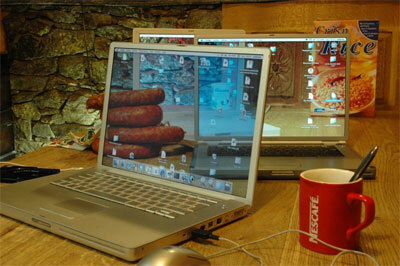 One of the reasons why OLED technology is cool is the fact that you can create a semi-transparent OLED screen. 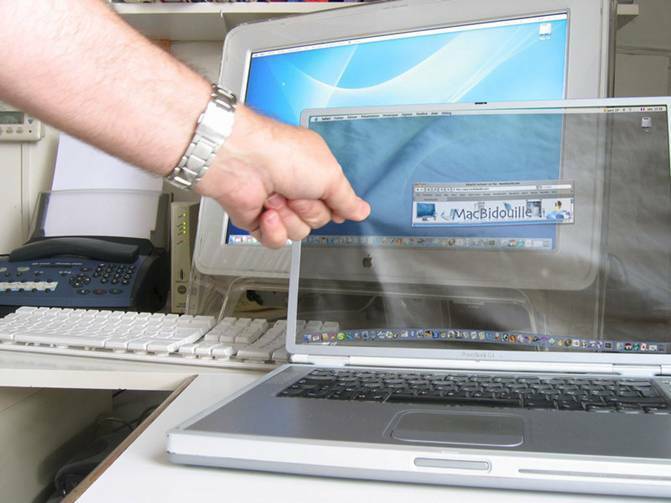 We’re not quite sure how useful this technology really is, except for looking through your laptop when everyone thinks you’re looking at it, but imagining a future with a bunch of semi-transparent gadgetry around us somehow fills us with glee. 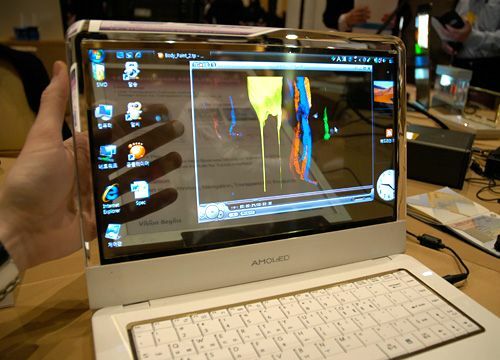 Samsung has decided to take a step into the future, creating a 14-inch notebook prototype with a semi-transparent screen. When the device is off, the panel is up to 40 percent transparent; the screen casing is made out of transparent plastic, which makes the experience even more seamless. We are really in a need to thank him for his service to our nation. He is a encyclopedia to the students. He is the all time favorite person for 99 percent of the Indian students. 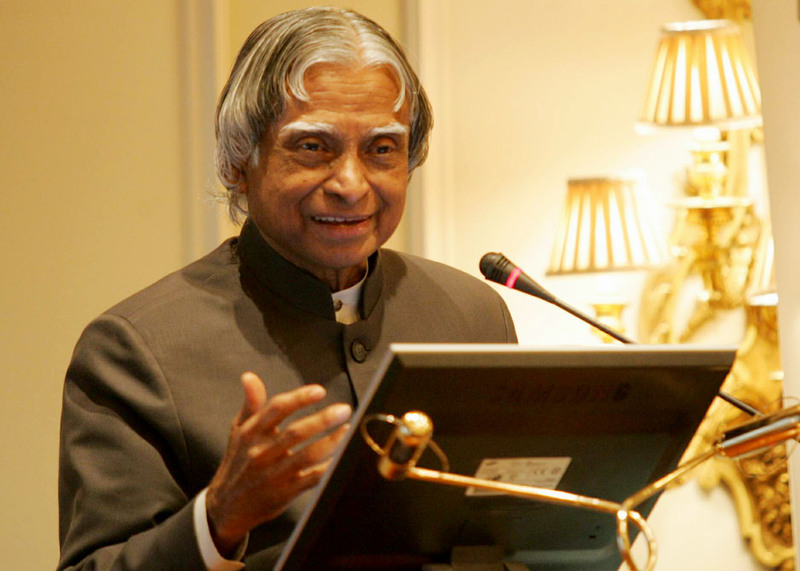 He feels young and so his voice still encourages the powerful Indian population... We salute Dr.Kalam... Jai Hind !!! A firm owned by billionaire Microsoft co-founder Paul Allen sued Apple, Facebook, Google, YouTube, and seven other companies, charging them with infringing patents filed more than a decade ago. Google and Facebook blasted the lawsuit as "unfortunate" and "without merit." The complaint, filed Friday morning in a Seattle federal court, named AOL, Apple, eBay, Facebook, Google, Netflix, Office Depot, OfficeMax, Staples, Yahoo and Google's YouTube. AOL, Apple, Google and Yahoo were each charged with four claims of patent infringement, while Facebook was hit with one. The other eight companies were charged with two claims each. The suit does not name Microsoft, which Allen co-founded with Bill Gates in 1975 but left in 1983 after being diagnosed with Hodgkin's disease. Microsoft did not reply to a request asking whether it had licensed some or all of the applicable patents from Allen's firm. Allen's lawsuit claimed that the 11 companies violated patents developed by Internal Research, a Silicon Valley research lab he funded in 1992, but which shut its doors in 2000. David Liddle, who worked at the Xerox's influential Palo Alto Research Center ( Xerox PARC) in the 1970s, was Interval's CEO. Those patents were later transferred to Interval Licensing, a company owned by Allen. The two patents that make up the bulk of the claims are 6,263,507, "Browserfor Use in Navigating a Body of Information, With Particular Application to Browsing Information Represented By Audiovisual Data," and 6,757,682, "Alerting Users to Items of Current Interest." Allen's lawsuit alleges that all but Facebook violated the '507 patent, and all 11 companies infringed the '682 patent. Interval filed applications for the four patents between March 1996 and September 2000, and was awarded the patents between March 2000 and September 2004. The '507 patent refers to a possible application in a "news browser" that could be used to "review news stories acquired during one day from several television news programs, as well as from text news sources." The '682 patent, meanwhile, describes technology for alerting users of Web content related to what they're currently viewing, or of others' activities that might interest them. The '682 patent is the only one that Allen's company claimed was violated by Facebook, the popular social networking site. The remaining two patents spell out an "attention manager" that would flash advertisements, stock quotes and other information in front of a user. The 15-page complaint singled out Google for special treatment, saying that Interval Research provided both funding and assistance to the then-fledgling search firm in 1998, the year founders Larry Page and Sergey Brin incorporated the company. Included with the complaint was a 1998 screenshot of Google's "About" page that showed Interval Research credited as one of four sources of research funding, and one of two outside collaborators. In a statement Friday, Google called Allen's lawsuit "unfortunate." "This lawsuit against some of America's most innovative companies reflects an unfortunate trend of people trying to compete in the courtroom instead of the marketplace," said Google. "Innovation -- not litigation -- is the way to bring to market the kinds of products and services that benefit millions of people around the world." Facebook's take was more blunt. "We believe this suit is completely without merit and we will fight it vigorously," said company spokesman Andrew Noyes in an e-mail. Other Firms contacted by Computerworld, including Apple and Yahoo, did not immediately reply to requests for comment on the lawsuit. Allen's suit seeks unspecified damages, as well as injunctions that would block the accused companies from continuing to use the patented technologies. Earlier this year Forbes put Allen, 57, in the No. 37 spot on its world's richest list, and estimated his net worth at $13.5 billion. How To Prevent 'Unsigned, Unauthorized' Softwares From Getting Installed In Your Computer !!! Windows 7's awesome feature, AppLocker, can help prevent kids from installing bloatware and untrusted software on PCs and laptops. 4. Go to Windows Settings—Security Settings—Application Control Policies & AppLocker. You'll have an idea of what all apps are running on your PC. A Japanese research team said it had developed the world's first 3D television system that allows users to touch, pinch or poke images floating in front of them. "It is the first time that you can feel images in the air,"
said Norio Nakamura, Senior Scientist with the Research Team at the National Institute of Advanced Industrial Science and Technology. "You can have the sense of touch like poking a rubber ball or stretching a sticky rice cake when manipulating images," he said. The technology changes the shape of three-dimensional images in response to "touches", aided by cameras that monitor how the fingers move, Nakamura said. It is not known when the technology will be put to practical use but its creators see it being used to simulate surgical operations and in video game software allowing players to experience the sensation of holding weapons or sports equipment. It could even use scanned images to supplement existing realities, said Nakamura. "This technology could create a virtual museum where visitors, including vision-impaired people, can put their hands on valuable sculptures that are usually untouchable," Nakamura said. It happened in Coimbatore this time !!! Can you ever imagine a Blogger Meet in Coimbatore... It really screws me when i imagine such a thing. We people who have addicted towards the ART of BLOGGING are willing to organize a Blogger Meet here in coimbatore this on 4th of September !!! Be a part among us. It is more than a meet and a fun filled get together by various Blogging Professionals in and around Coimbatore, Tiruppur, Erode districts. We are the professional or technical bloggers, we must speak out and share out content with others. Meets like this are not only possible in Bangalore like cities, but also in cities like Coimbatore, Tiruppur and Erode. The power of blogging is under estimated nowadays. We are the writers in the International Network. We write what ever we feel. We write what ever we see. No publications are required, no reprints are needed. We have the entire power to rule the whole world with a single web blog. We are the only people who made it possible for search engines like Google, Bing, AOL, ASK to survive. This meet will definitely initiate us to blog more and more better than before. The meet is going to be organized in Star Hotel in Coimbatore. Many tricks and tips related to blogging will be analysed in the get together. Lot of Power Point Presentations, Tutorials Videos will be provided to all those who attend the meeting in a Compact Disk. T-Shirts also have been decided to gift to all the Bloggers attending the Get together(Still this is under discussion, and the updates regarding TShirts will be mailed to you people very soon... May be a day later or two..). Being the first Blogger Meet @ Coimbatore, we are expecting a good responce from your side. 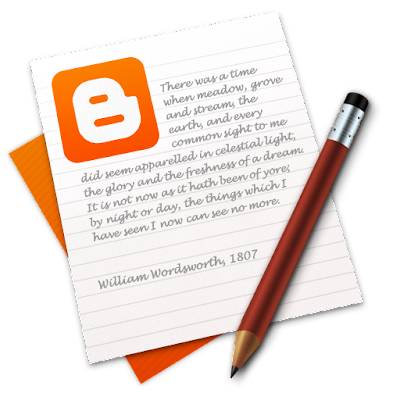 Please join our hands to improve ourselves in blogging intelligence.!!! 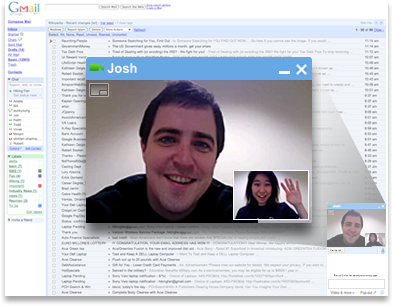 If you’ve been wanting to use voice and video chat on Linux, then Google has a good news for you: it’s now available! Visit gmail.com/videochat to download the plugin and get started. Voice and video chat for Linux supports Ubuntu and other Debian-based Linux distributions, and RPM support will be coming soon. A denial-of-service attack (DoS attack) or distributed denial-of-service attack (DDoS attack or ) is an attempt to make a computer resource unavailable to its intended users. Although the means to carry out, motives for, and targets of a DoS attack may vary, it generally consists of the concerted efforts of a person or people to prevent an Internet siteservice from functioning efficiently or at all, temporarily or indefinitely. Perpetrators of DoS attacks typically target sites or services hosted on high-profile web servers such as banks, credit card payment gateways, and even root nameservers. The term is generally used with regards to computer networks, but is not limited to this field, for example, it is also used in reference to CPU resource management. Pranav Mistry is a PhD student in the Fluid Interfaces Group at MIT's Media Lab. Before his studies at MIT, he worked with Microsoft as a UX researcher; he's a graduate of IIT. Mistry is passionate about integrating the digital informational experience with our real-world interactions. Some previous projects from Mistry's work at MIT includes intelligent sticky notes, Quickies, that can be searched and can send reminders; a pen that draws in 3D; and TaPuMa, a tangible public map that can act as Google of physical world. His research interests also include Gestural and Tangible Interaction, Ubiquitous Computing, AI, Machine Vision, Collective Intelligence and Robotics. There may be seven thousand reasons why your newsletter won’t get the response you’re looking for. Most of those reasons have the same common problem, though: readers just don’t like it. And that’s probably because you’re making one of these five mistakes. This is a big one. My wife signed up for a newsletter on Ayurveda, thinking she would get some helpful articles and ideas on a topic she was very interested in. All she ever got was a whole bunch of promotional stuff. Now, I know what you’re thinking. You know very well that non-stop shameless self-promotion doesn’t exactly endear you to others, and of course you’d never make every single newsletter into a pitch. Because you’re a Copyblogger reader, you know that your content has to be useful or it won’t get read. Yet most folks can’t help themselves. They mean to write something useful, they mean to be helpful, but they end up being self-promotional because it’s easier. It’s easier to say “Yoga class on Friday, 17th December” than it is to write yet another article about yoga. So they wind up being self-promotional by default — and since it was the easier option, they don’t think of it as being unhelpful to their readers. That doesn’t mean the readers don’t see it that way, though. Voice is not everything, but it sure counts for a lot. When you speak to a friend over the phone, they sound excited and vibrant. Ask them to put down their feelings on paper and you often find what they’ve written just doesn’t sound like them. Their voice doesn’t show up in their writing, and that means their writing doesn’t really convey how they feel. Every artist, singer, and yes, writer has a signature voice. This voice needs to be authentic. If you’ve tried and failed to find your voice before, put down the pen and Skype a friend. Get them to ask you questions about the topics you’ll be writing about in your newsletter — recording every word, naturally. Then just blab away, and transcribe what you’ve said. I know this method sounds tedious. But it’s quicker than slaving over a boring newsletter that takes you two days to write, and still winds up completely devoid of voice. Voice matters. And you have one — you just have to get it on paper. But tone alone won’t save the day. Many people think their newsletter has to be full of perfectly organized and structured articles — and since they don’t know how to create those kinds of articles, they get frustrated and stuck when they’re trying to write. Structure isn’t the way to create a great newsletter. Stories are. As human beings, we’re entranced by stories from an early age. Start with stories about your clients. Write about what you’ve experienced in your industry and your thoughts about it. When you’re trying to elicit response, nothing gets your readers engaged like the color and drama of a good story. And how do you finish? Tell the moral of the story — just like you would in a real story. Explain what you learned or what you should have learned or what someone else could learn from this experience. The moral of the story also does double duty as the springboard for your call to action. Which brings us to Mistake # 4. This week, you need to fill up your yoga class. In your newsletter, you’re going to ask a customer to write back or comment. You need that customer to respond. You can’t hope they will — you have to ask them to do it. You have to be pretty darned clear what you want them to do, too. Just saying “please respond” is far too vague. Your customers don’t know exactly what you want them to do or how to do it. Do you want them to click on a link? Tell them to click here (and also tell them why). Do you want them to buy? Tell them. Most folks just hope their customers will act on their own. And their customers mostly don’t — because they’re too busy to figure out how you want them to respond. You need to tell them. Just a little nudge will do. Of course, none of this will work if you’re a complete stranger. Switch on your TV at 6 pm. What do you see? In most countries, it’s the evening news. And every evening it’s the same old news, but hey it’s consistent. Most newsletters aren’t. If you’re going to write a newsletter, then you’ve got to have a publishing schedule. You have to promise your readers that your newsletter will go out once a month, or twice a month or three times a week — whatever it may be. Your newsletters can’t go to Bermuda on vacation. They’re doing all the grunt work for you. Our newsletter has gone out since 2002 and has done so week after week without any stoppage. You want to stop? You are ill? Sorry mate, but that won’t wash well with your readers. Imagine the TV station canceling the news because some newsreader didn’t turn up. One of the big reasons for the lack of response is that your newsletter is a stranger to your readers. You can’t send them a newsletter whenever you feel like it and hope they’ll respond. Response is directly related to frequency. Muck up on frequency and the rest of the four points don’t even matter. Pure self-promotion won’t work — make it useful. Your tone of writing is critical. Record yourself if you have to, but connect with your own unique voice. If you can’t get your head around structure, use customer stories. Don’t be half-hearted about promotion — give a strong call to action. Without consistent frequency, your customers will forget who you are even if you do everything else right. Newsletters are a lot of work. There’s no point in doing them unless you see the response you’re looking for. And avoiding these five big mistakes will perk up your response in a hurry. Unknown hackers hacked the internet account of the Indian ambassador to Uzbekistan and sent virus-attached emails to some officials of the home ministry, sending the security establishment in a tizzy. 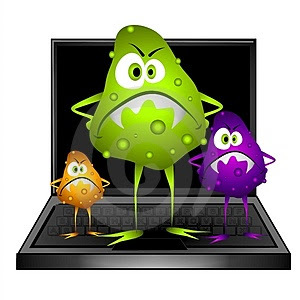 The "malicious" email contains a dangerous malware, Trojan, which allows the hacker remote access to the user's computer system, according to sources. Investigators suspect that hackers in a "foreign" country have cracked the email ID of the ambassador and used his account to send the virus. The Intelligence Bureau (IB), according to officials, has warned home ministry officials against opening such email that asks a user to run or install an unknown programme making the computer accessible to hackers. "The Intelligence Bureau has intimated that a number of senior officers in the ministry have received a malicious mail from the email ID containing a Trojan concealed inside a sham list of some Indian terrorists," said a source, quoting an IB circular. The virus -- used for data theft, downloading or uploading of files on the user's computer and even keystroke logging -- has attacked the computers even as the government's IT arm National Informatics Centre (NIC) had installed one of the latest antivirus softwares in the official computers. The officials maintained that there was no sensitive information stored in the computers attacked but still the IB has ordered certain procedures to minimize the damage. They have advised that all computers in the North Block should be regularly updated with latest antivirus software applications. Besides, no sensitive document should be stored in computers connected to the internet. Cloud Computing Can Be A Catalyst For India - Ravi Venkatesan, Chairman, Microsoft India. This is an article by Ravi Venkatesan , Chairman, Microsoft India on "Cloud Computing Can Be A Catalyst For India"
Everybody is talking about cloud computing. The term and the excitement both remind me of the last decade when the Internet was assuming the shape we see it in today. Just as we cannot imagine a world sans the World Wide Web now, the cloud could rapidly change the way we view and use information technology. Forrester Research defines the cloud as ‘a standardised IT capability, such as software, app platform or infrastructure, delivered via Internet technologies in a pay-per-use and self-service way’ . The idea is not totally new. People have been using the cloud for years. Hotmail, Yahoo, Gmail and, of course, Xbox Live — a Microsoft online multiplayer gaming and digital media delivery service — have been in the cloud for a while now. The difference between then and now lies is just who is using it, and the volume and the type of data that is involved. Today’s notion of cloud computing is about taking online services to enterprise networks, not just to solitary consumers. This also means that the volume of data that is being processed and stored online is of a colossal magnitude. In fact, if we were to break down the services that the cloud today provides, they can be classified into: one, software-as-a-service (SaaS), which comprises end-user applications delivered as a service rather than traditional on-premise software. Two, platform-as-a-service (PaaS), which provides an independent platform as a service on which developers can build and deploy customer applications. Three, infrastructure-as-a-service (IaaS), which primarily comprises the hardware and technology for computing power, storage, operating systems or other infrastructure delivered as an on-demand service rather than a dedicated onsite resource. As is evident, the cloud is certainly multifaceted . And this fact makes gives it a dynamic combination of linked strengths. Agility is one of the biggest features of cloud computing, though the level of agility is controlled by the user’s pace and ability to re-provision technological resources without stretching costs. Plus, with capital expenditure converted to operational expenditure, costs slip down automatically . At the same time, multi-tenancy in cloud computing enables centralisation of infrastructure — along with device and location independence — increase in peak-load capacity and efficiency improvements for systems. Apart from this, since one can measure usage, direct cost ramifications, reliability and scalability remain flexible and within control. However, as cloud computing moves out of the buzzword zone and turns into a powerful tool for expanding IT capabilities, one cannot ignore the challenges it throws up. According to the analyst firm Gartner, the biggest challenge is that of security. Cloud architecture makes and delivers big promises — but it doesn’t automatically grant security compliance at any level. The major part of the responsibility for security lies with the application designer, and, to some extent , with the vendor. That is why, Gartner believes there are specific issues customers should discuss with vendors before homing in on one. “Ask providers to supply specific information on the hiring and oversight of privileged administrators, and the controls over their access,” they recommend. Transparency regarding regulatory compliance details, data location and segregation and recovery assume great importance. “Any offering that does not replicate the data and application infrastructure across multiple sites is vulnerable to a total failure,” Gartner adds. Further, it would be self-defeating if a cloud computing-based solution turns out to be a limited-capacity passive utility system. You would just be paying increasing toll for experiencing less and less. Nevertheless, cloud computing is here to stay. Its potential is immense and it can — especially in a country like ours — fundamentally transform government services, scientific exploration and discovery, and economic and social development. For example, the local government in Dongying, China, is poised to set up the Yellow River Delta Cloud Computing Centre to transform this petroleum-based region from an industry-based economy into a servicesbased one. The cloud is also expected to expand and support an e-government services platform and a research and development platform for eco-friendly oil cultivation. All of this is a plausible reality today. And while companies like Microsoft are completely committed to the cloud, their services and solutions come with the reliability, security and global reach that customers deserve and demand. Longer term, cloud computing is turning out to bring a transformative change in the business landscape. It is aiding the making of a new generation of products and services, creating a new awareness of the greater Internet, and Web 2.0 in particular, and supporting a more self-service IT architecture. For example, Microsoft recently co-founded the Simple Cloud API project with IBM, Zend, Rackspace and others. This project focuses on open-source cloud interoperability, allowing developers to write basic cloud applications that work in all of the major cloud platforms . What’s more, this can even call information back and forth across cloud platforms! This is just the beginning. New and additional standards will emerge as new and inventive scenarios develop from evolving platforms, standards and technologies. But this will work well and in our favour only if we make technology both personal and democratic, along with the assurance that privacy rights and data security will be preserved at all times. This should also include an international understanding about the governance of data when it crosses national borders. In the Indian context, cloud computing holds greater potential because of an obvious reason: we have no legacy systems that need to evolve or move into the cloud. For instance, both our state and central governments are in the process going digital, and the time is just right to implement the cloud right off. While keeping costs low, the cloud will not just put an efficient document management system in place, but will also ensure efficiency in service delivery. And in time, “this infrastructure can be used to shift the government from a capex (capital expenditure) model to an opex (operating expenditure ) model” , as Som Mittal, president of Nasscom, says. Global management consultants Zinnov, in a recent study reiterated that India has the potential to emerge as the global competency centre for cloud services. The study estimated the global cloud computing market to be over $70 billion by 2015 and that India, with its powerful ecosystem of independent software vendors , developers and system integrators, is ideally poised to address this growing opportunity. An additional 3,00,000 jobs related to cloud services are estimated to be created in the country over the next five years. So, yes, cloud computing is a big idea, but it will never endorse a blanket one-size-fits-all approach to computing. In the foreseeable future, we will not be able to live with 100% cloud or 100% on-premise computing. Instead, we will have to rely on a clever and optimal mix-andmatch combination of on-premise and cloud computing, based on specific needs. In the broader context, IT needs to look at the cloud not just as an alternative means of doing what it does, but as a whole new form of computing that opens up ways of doing what could not have been done before. Think about it: when electricity became a utility, it didn’t just bring down the cost of running existing factory machines. As Nicholas Carr describes in The big switch, it allowed Henry Ford to innovate on the electrified assembly line and change manufacturing forever. It has got two expansion. One is REALLY SIMPLE SYNDICATION or RICH SITE SUMMARY. For beginners, i use to explain them that it is similar to Bookmarks that he or she is making in his or her web browser. And here is what actually RSS means ??? RSS solves a problem for people who regularly use the web. It allows you to easily stay informed by retrieving the latest content from the sites you are interested in. You save time by not needing to visit each site individually. You ensure your privacy, by not needing to join each site's email newsletter. The number of sites offering RSS feeds is growing rapidly. Microsoft will unveil the Internet Explorer 9 beta next month at an event in San Francisco titled Beauty of the Web. Microsoft has built IE9 with the expectation that HTML5 will blur the line between Websites and native applications, and the company has built numerous enhancements in the forthcoming release. "Developers are already working hard on some amazing new web experiences enabled by Internet Explorer 9,"
said James Pratt, Product Manager on the IE9 team, in a blog post. Microsoft has been trumpeting IE9's speedy, hardware-accelerated HTML 5 rendering for the past several months, often by pitting IE9 against Firefox and Google's Chrome browser in handling graphically intensive Websites. However, critics have pointed out the selective nature of Microsoft's testing and noted that all of its competitors are also working on hardware fueled HTML5 rendering. So far Microsoft has dished up over 2.5 million downloads of the four IE9 platform previews, the most recent of which was released in early August. Microsoft said in a blog post earlier this month. Microsoft has also confirmed HTML Canvas tag support in IE9 as well the availability of HTML audio and video tags, and showed its growing adherence to Web standards by noting that IE9's Acid3 score jumped from 68 to 83 since the previous developer preview. I have a couple different Gmail addresses that I use for different purposes. Historically, Google Accounts – including Gmail accounts — have only let people access one account at a time per browser, so using both accounts has been a bit inconvenient. I’ve either had to sign out and sign back in, use a second browser for my second account, or use a Chrome incognito window. And I'm not alone; lots of people have asked us for a better way to use multiple accounts at once in the same browser. Now, you can visit google.com/accounts and click the link next to "Multiple sign-in." After you sign into your first account, you can sign in with up to two additional accounts from the new accounts menu in the upper right hand corner of Gmail, then easily toggle back and forth between them. You can even open multiple Gmail tabs — one for each of your accounts. 1) Not all Google services support multiple account sign-in yet. For the services that don't support it (like Blogger and Picasa Web Albums), you'll be defaulted to the first account you signed in with during that browser session. So if you click a link from Gmail to Blogger, for example, you'll be logged into Blogger with the first account you signed in with, even if you clicked the link to Blogger from your second Gmail account. 2) They’re still working on making Gmail and Calendar work offline with multiple sign-in. If you rely on offline access, you probably don't want to enable this feature quite yet. 3) Multiple account sign-in only works on desktop browsers for now, so if you use Gmail on your phone's browser you won't see this option yet. Since Google Apps customers can already sign in to their accounts at the same time as their personal Google Accounts, They won’t be adding this new feature to Google Apps until the new infrastructure is in place. 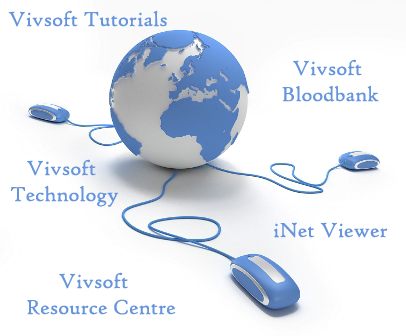 To know how to make such image maps .. Visit the Vivsoft Tutorial Page..